The Shinkolobwe Mine in the Belgian Congo was described by a 1943 Manhattan Project intelligence report as the 'most important deposit of uranium yet discovered in the world.' So long as the U.S. remained in control of this mine and its supply, it had a world monopoly on the primary material needed to build an atomic bomb. The uranium from this mine was used to build the bombs dropped on Hiroshima and Nagasaki in 1945. Given the possibility that the Germans were also working on an atomic bomb, it was a priority for the U.S. to prevent Congo's uranium from being smuggled to Germany. This task was given to the newly created Office of Strategic Services, later known as the CIA. Although much has been written about ALSOS, the secret intelligence mission created to investigate the German atomic project, so far nothing has been written about the intelligence mission at the source of uranium-the Belgian Congo. 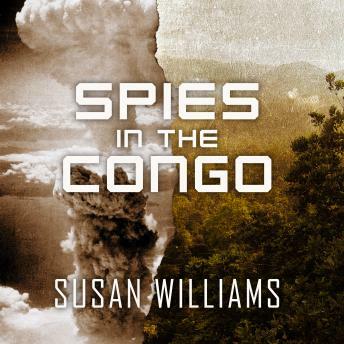 Spies in the Congo is based on a mass of newly released (and formerly top secret) archive material in the U.S., the U.K., and Belgium; personal testimonies; and a range of audio visual materials, including a set of eight mm films taken by the lead spy.